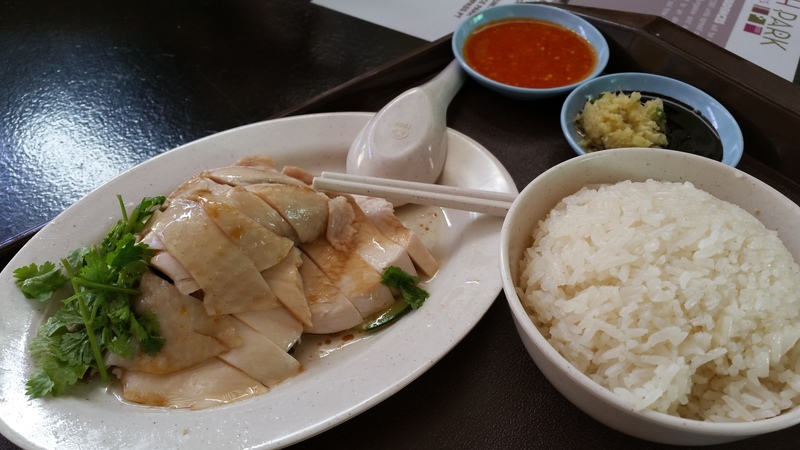 This must be one of the best chicken rice around!! 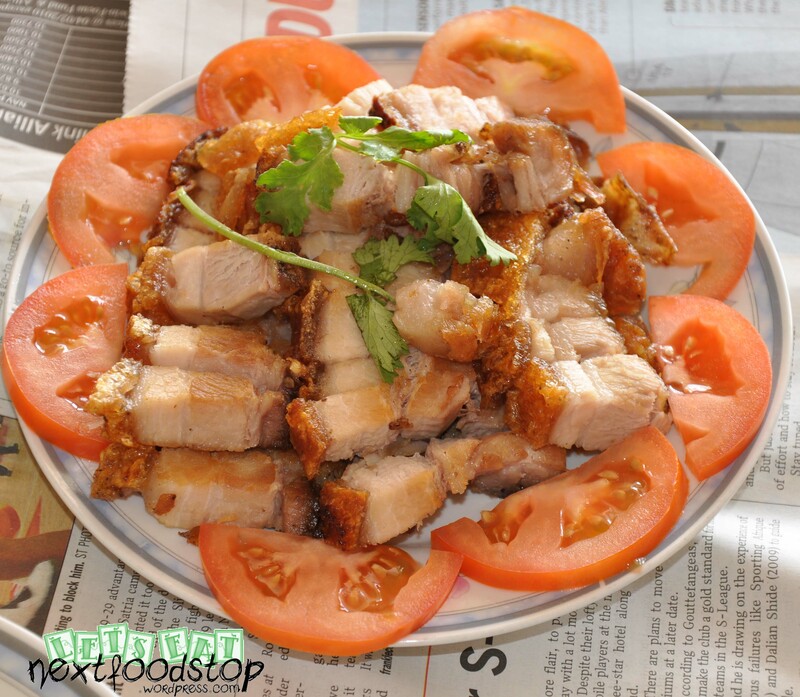 The chicken meat is tender and filled with the sweetness of chicken goodness. Take note that the chicken meat is not sliced thinly or pat using the chopper. Every bite of chicken meat is succulent and juicy. The soy sauce and sesame oil that is drizzled on top of the chicken is so fragrant you will wish to lick up every bit of it. The rice is piping hot till the last grain and I really wonder how they kept the heat in!!! It’s magical! The rice is cooked with the chicken stock gotten from poaching of the chicken and every grain of rice is aromatic. Best of all, the rice and chicken do not appear or taste too oily! What is best about the whole thing is their chilli and ginger dip! The ginger dip is mixed with chopped scallions that brings in a whole new level of what you call ginger dip! The chilli and ginger dip was so addictive that every bite of that aromatic rice has to be accompanied with them. Even the dark soy sauce is so good. Every dip is screaming for my attention! Whenever it was 初一 or 初十五 and especially during Chinese New Year, these will always appear on the dinner table. My favourite is the special dip sauce for the chicken. 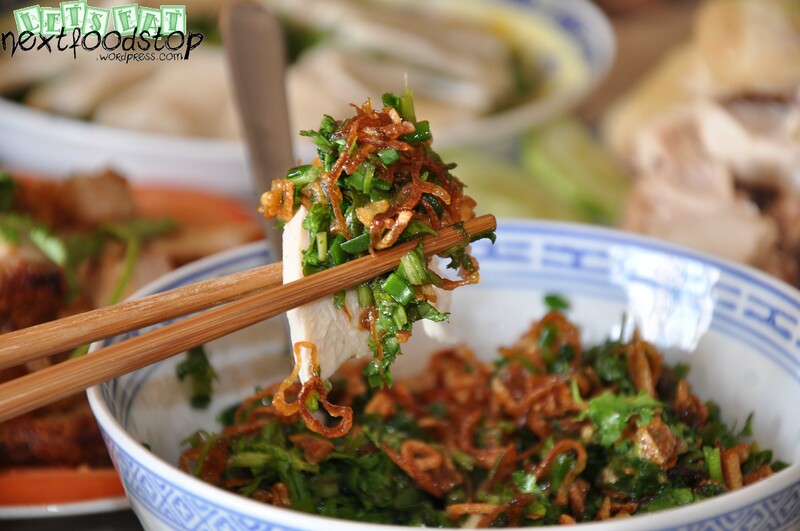 It is a mixture of spring onions, corriander and deep-fried onion shallots. 1. Clean and wash spring onions and corriander. Ratio is 2:1 respectively. Place them onto bowl. 2. Slice the onion shallots. Deep fry till golden brown. Around 10 onion shallots for 3 big stalks of spring onions. 3. Scoop up and quickly place them over the spring onions and corriander. Pour some of that oil over the whole mixture. 4. Add salt accordingly to season. 5. Mix well before serving. 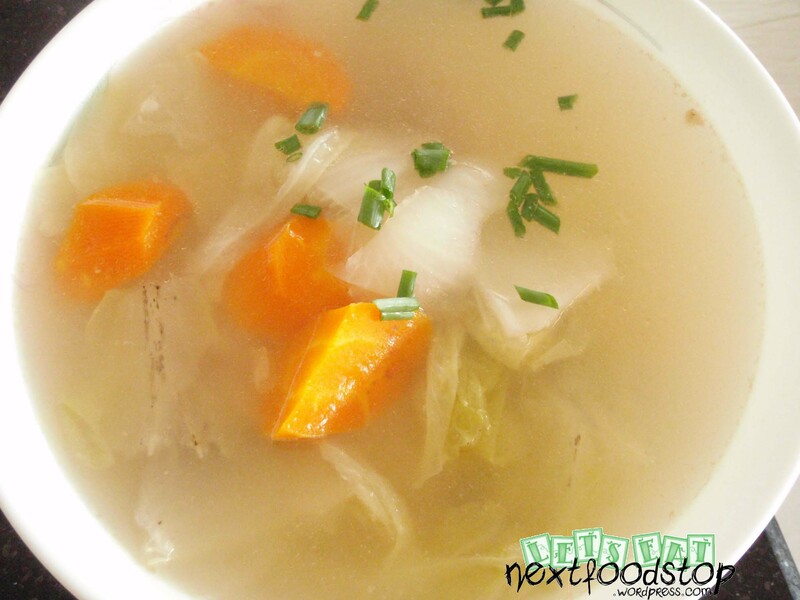 As for the cabbage soup, use the water that was used to cook the chicken as the soup base. Season accordingly and add in cabbage, carrots or any vegetables that you want. Remove the oil before serving. 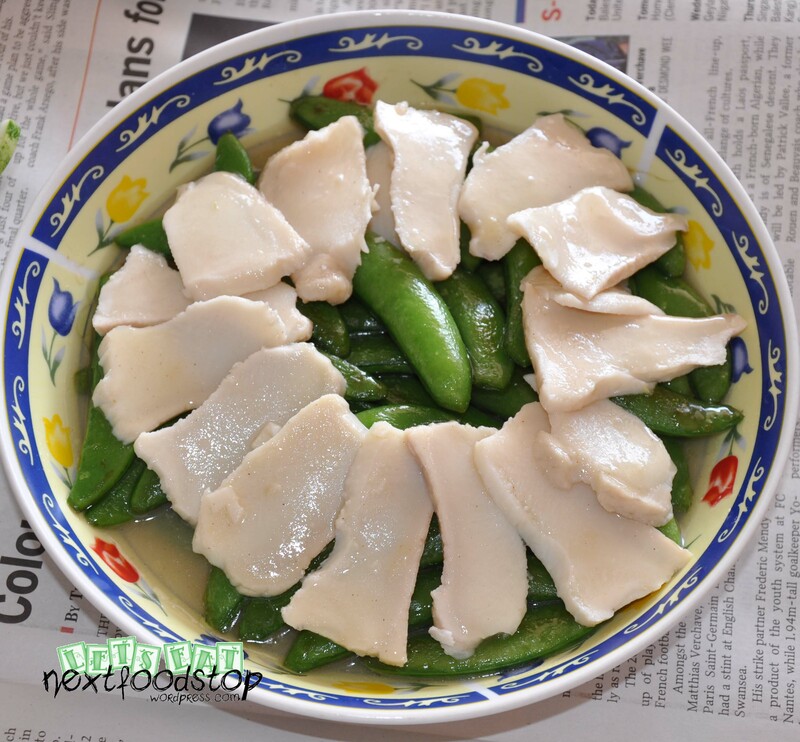 I use canned abalone and sliced them up. The sweet peas were stir-fried in the wok. Some of the abalone “sauce” in the can were used in the making of the sauce together with some mushroom powder. No need to add salt as the abalone “sauce” is salty. 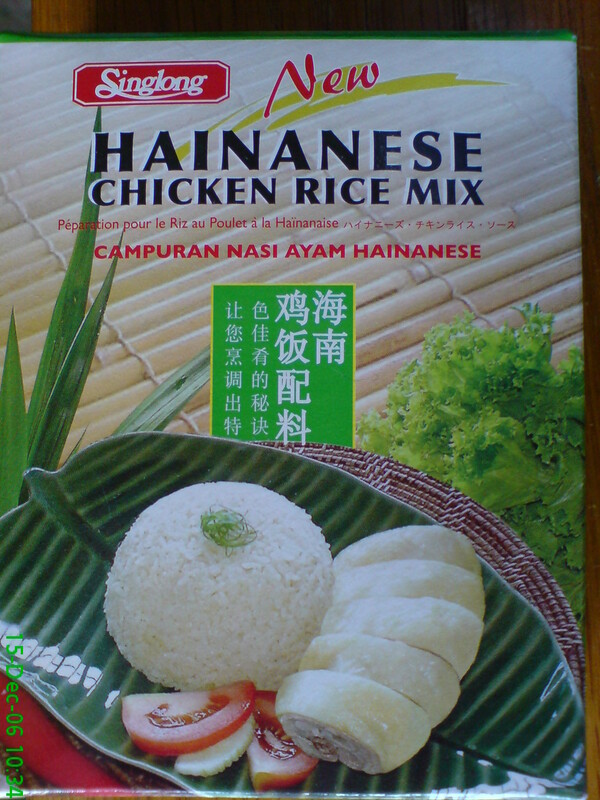 For the chicken rice, you can use the instant pack sold at NTUC. The traditional method is to pan-fry the rice in the wok with garlic and salt. Then scoop up into rice cooker. Add in the water that was used to cook the chicken to cook the rice. Put in a few pieces of pandan leaves to cook the rice. Oh well, the instant pack saves all the trouble! 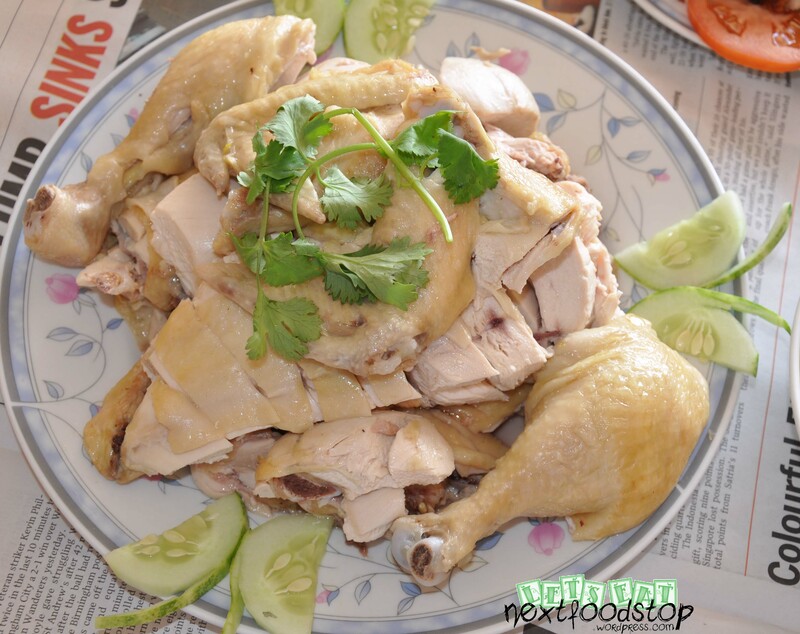 My mum had been giving a lot of praises for this chicken rice lately. So today we drove down to Holland Drive to taste it. We ordered one plate white and one plate roasted chicken. Both of which were chicken thighs. Each plate that came with tasty cabbage soup and a generous portion of fragrant chicken rice was only $2.50! Additional chicken intestines is only $0.50! Cheap right! The important thing is of course the chilli!!! The chilli has lemon grass and lime added that gives it its specialty. Together with the coriander leaves, this chicken rice will definitely leave a “MMMMMM” in you. However, if you stay too far from Holland Drive, there is no need to make this special trip. This is just a recommendation of chicken rice should you be there. Be careful to order from the correct stall, as we also ordered another plate of chicken rice from another stall, which doesn’t taste good at all. Next up, we also ordered Wanton Noodles. Based on the looks, you can tell it’s good, right? HAHA! YES! The char siew is extremely good. Tasted like my mum’s! I don’t really eat char siew, with the exception of my mum’s. The noodle is springy and not soggy nor soft. Neither did it taste of ammonia. $2.50. Because the wanton that comes with the noodles tasted good, so we ordered a bowl of wanton soup. $2 for 10 pieces of wanton! How cheap! If you look carefully, the wanton actually did not have microscopic meat. ^_^ Worth trying! My whole family loves chicken rice and any Singaporean will know about this famous Boon Tong Kee Chicken Rice. Hacken Lee will surely patronise this stall whenever he is in town, and pack back a few packets home. One whole chicken cost $30. The medium spinach cost $12. Each bowl of chicken rice is $0.40. Optional pickles are $1.50.